The Fairly Oddparents Easter. . HD Wallpaper and background images in the The Fairly OddParents club tagged: fairly odd parents easter bunny eggs cosmo wanda timmy. 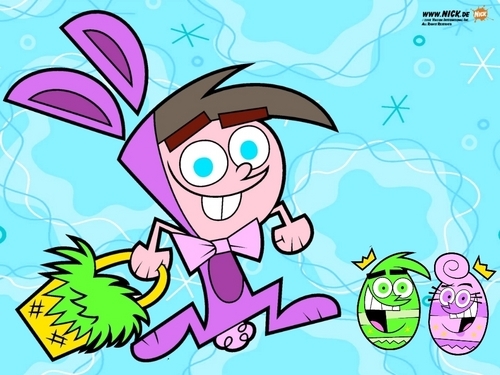 This The Fairly OddParents wallpaper contains anime, truyện tranh, phim hoạt hình, and manga.